Traffik is my latest write-up. 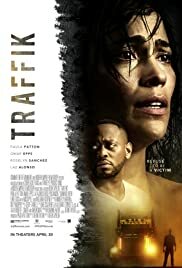 As borderline, B movie mayhem and a relative form of trashy exploitation, Traffik starts off as a Straw Dogs/Deliverance tribute only to take a detour that's much more disturbing. I can't quite recommend it for it readily blurs the lines of bad taste. However, Traffik is effective enough that it might make you think twice about vacationing in Northern California. 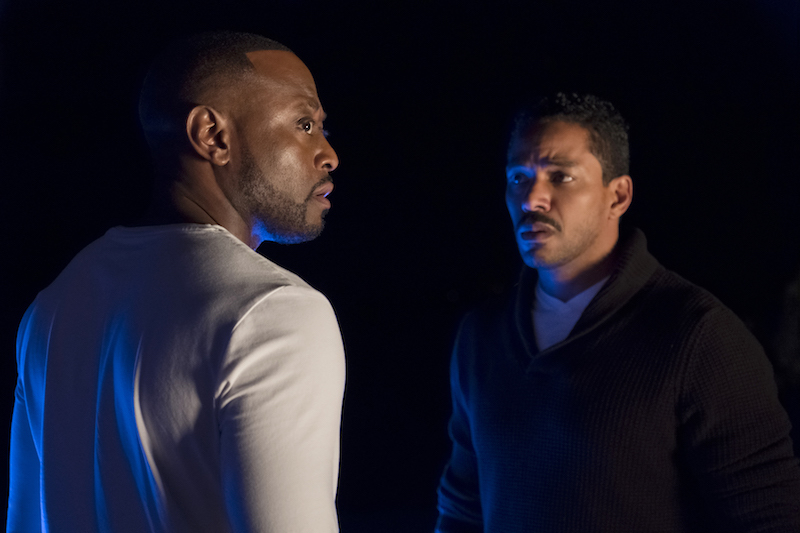 Featuring a level of blatant vileness, not screened for critics, and starting off with some idle acting, Traffik hits us with a misleading trailer (it ain't about some cutesy couple on a tender, botched rendezvous). Traffik also has an interesting choice of closing credit dailies in which everything seems to be filmed upside down or inherently sideways. Traffik chronicles journalist Brea who is played with frantic intensity by Paula Patton. Brea travels outside Sacramento with her boyfriend John (Omar Epps). They are on route to a romantic getaway, complete with a snazzy house in the mountains and an exotic pool to boot. When they collide with some biker ruffians who run a human trafficking ring, all hell breaks loose. A twist here and there, some faceless characters, a winding car chase, multiple murders, and a police force that happens to be in on the villainous eventuality (spoiler). Traffik has all this as it ratchets up a relentless adage of anxiety and upsetting malaise. Director Deon Taylor knows and protracts that he's basing his movie on true events. Unfortunately, he doesn't honor them in a deft manner. Deon would rather sensationalize Traffik with gore, race-related mantras, and visible, grindhouse overtones. He gives you a reason to think Traffik came out at the wrong time and he gives you another reason to think Traffik probably shouldn't have been made in the first place. Give me Jonathan Mostow, Florent Emilio Siri, or John Dahl at the helm and I might've upped my rating (we're talking a higher level of thriller sophistication with these veteran filmmakers). In conclusion, Traffik while giving off that coarse Saw vibe, did effect my shamefaced psyche and kept me on the edge of my seat for the last hour. It's messy, smash-mouth "congestion" so I'll go with 2 and a half stars.